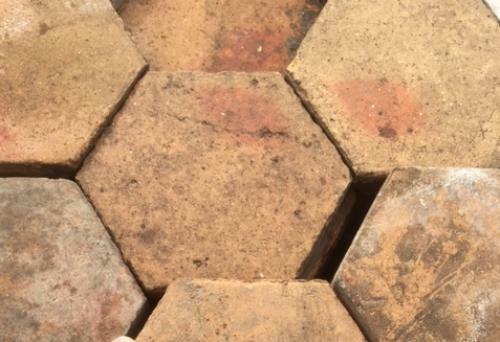 These beautiful, small hexagon terracotta tiles were reclaimed from near Lyon, France and are approx 100 years old. They are handmade and have been cleaned. Varying only slightly in size and thickness they measure 17cm from point to point, with a thickness of 20-24mm.